(16 mins) In this episode, Harold Reitman, M.D. 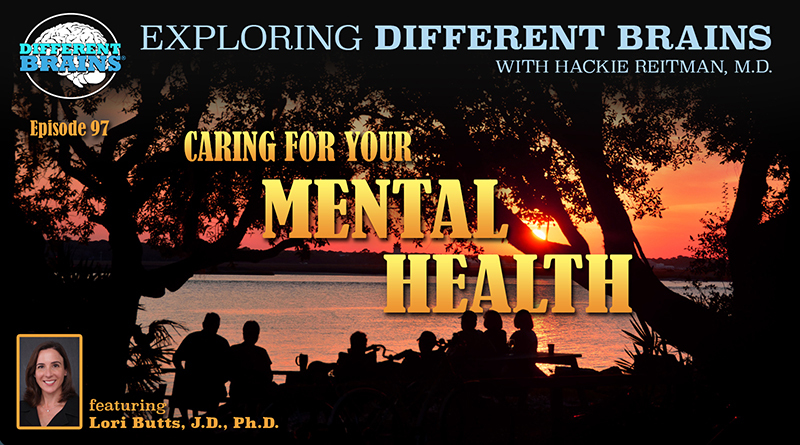 speaks with returning guest and Different Brains board member Lori Butts, J.D., Ph.D., the president and director of the Clinical & Forensic Institute, and previous president of the Florida Psychological Association, about mental health. 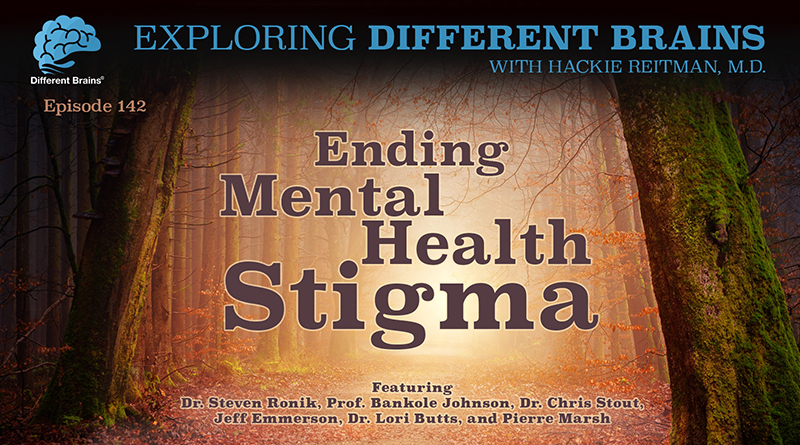 Dr. Butts discusses what mental health is, the importance of awareness of psychological needs, and the importance of ending stigma related to mental health challenges. 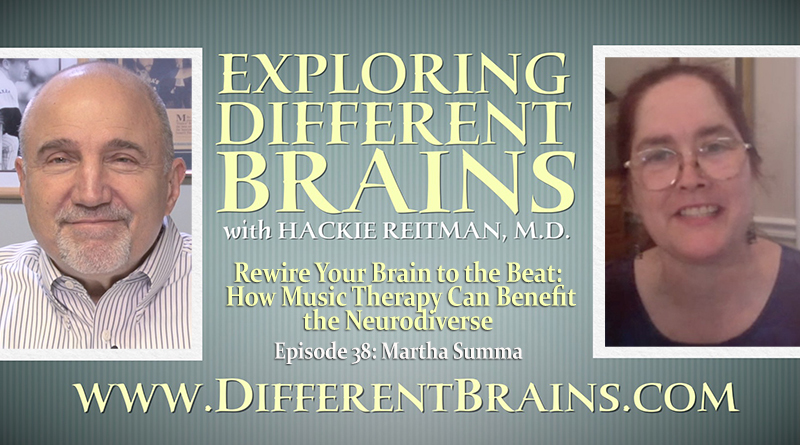 HACKIE REITMAN (HR): Hi, I’m Dr. Hackie Reitman and welcome to another episode of Exploring Different Brains. Today, we have the pleasure of having with us to discuss general mental health, what’s under that umbrella of mental health issues. So we’re going to have the outgoing President of the Florida Psychological Association Dr. Lori Butts, who’s also head of the Clinical and Forensic Institute. And who has not only her psychology, but also has her law degrees too. So Dr. Lori Butts, welcome to Exploring Different Brains. LORI BUTTS (LB): Thanks for having me. HR: Now look, here at Different Brains, we’re trying to get everything under one roof. 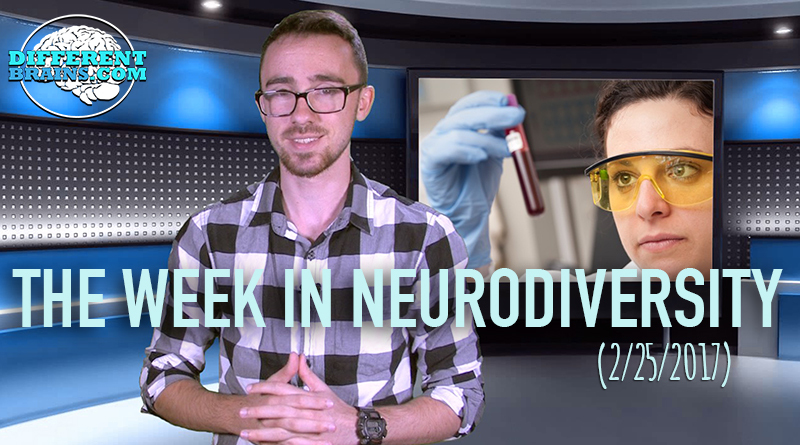 So we’re trying to get the neurological issues, the mental health issues, the intellectual disabilities, the learning disabilities, the developmental challenges. Mental health covers a wide range. How would you define mental health issues? LB: Wow, that’s a great question. I define it broadly as Different Brains does. I feel like mental health encompasses all those different compartments that you just discussed, but traditionally, mental health deals with some psychiatric instability mental health issues, such as depression, anxiety, bipolar disorders, schizophrenia, post-traumatic stress disorder. I think typically, what is considered a mental health issue would be those disorders that psychologists and psychiatrists routinely diagnose in people. HR: Now let’s say, you know how we’re all told “Go to see your doctor regularly for a check-up.” You know, for all the usual things. In mental health, if I don’t have any labels, which I know I do have many. Let’s say I’m John Q. Public out there. I don’t have any mental health labels. But somebody says you should go in for a check-up. What does that consist of and who do you go to and should everybody go for a mental health check up just like you go for a mental health checkup, just like you go for a physical health check up. LB: Well I think so. But I’m kind of biased, being a psychologist. I think everybody should have mental health checkup. It’s always good to have an objective person that you can speak with to bounce ideas off to discuss where you’re thinking about different issues in your life when you’re trying to make an important decision. So having a psychologist is not just about treating symptoms. It could be a collaborative partner and helping you learn how to problem solve more efficiently, learn how to work through different–and when I say problems, issues. It doesn’t have to be a big problem, but learning how–psychologists can help you learn how to problem-solve maybe in a more efficient manner. Or how to work through a task that you’d like to accomplish with an objective person to help balance idea off and collaboratively come up to a resolution so that you feel confident in using your own problem solving strategies to obtain a goal that you’re trying to accomplish. So psychologists can help not only with somebody who’s having a symptom but somebody who’s trying to problem solve and become a healthier person or maybe make a career change, or maybe just wants to help with sleeping issues. We have psychologists who focus on sleep. We have psychologists that work on performance issues. Sports psychologists. So we can help in so many different ways, help make problem solving and decision making more efficient and more beneficial for somebody. HR: To me, it’s almost an oxymoron to ask you this question. Because one of my pet peeves, one of the reasons I wrote “Aspertools: The Practical Guide to Understanding and Embracing Asperger’s, Autism, and Neurodiversity” is one of the things I kind of rail against in our educational system and our employment system and society in general, is our one-size-fits-all approach. And all of our brains are different. Which leads me to my oxymoron of a question. Is there one standardized test as a screening that one can take for mental health issues. LB: No. So what psychologists do when somebody comes in the door is they ask a lot of questions. We’re asking questions either face-to-face, or though psychological tests, and we’re also sometimes asking people that know the person what’s going on with them, how do you see this person? Because sometimes, either somebody has a mental health disorder, or is just struggling to kind of view themselves in a way that other people in their lives see that they’re having a problem. So some people that are depressed, they don’t even know that they’re depressed. And they got people in their lives saying that “you need to go talk to someone.” And as psychologists, we would like to talk to the person who’s encouraging somebody to go in to see what they’re seeing, because a lot of times we don’t get the full picture from someone coming in the door because the stigma. And they’re embarrassed, they wanna, you know, “everything’s okay.” Or they’re just not in tune with what’s going on with them and what other people perceive them as. I talk about depression a lot because that’s one of the things where people–it’s kind of a slow, insidious disorder that creeps up on people and where they’re losing friends slowly, they’re sleeping more, they’re not going to work as often, maybe they’re drinking alcohol more, may they’re using substances, and it just happens so slowly that the person that’s going through it doesn’t even kind of recognize what’s happening. And other people, loved ones, other people in their lives, when they recognize that there’s something wrong, you need to go get some help. And that’s valuable information, so the psychologist can do a treatment plan, we call it. You know, just any other intervention. We formulate a treatment plan. And we formulate that in concert with the client or with the family or whoever is in front of us to set some goals as to what are we going to achieve and how we’re going to achieve that. And we work with our clients to figure out what their goals are. And the psychologist may say “I think that this should be a goal for you, this seems to be an area that is problematic for you and this is an area you could probably be doing better. And this is where we need to take this.” So, no, it’s not one-size-fits-all, but we ask a lot, a lot of questions to try and gather as much information as we can in order to formulate an individualized treatment plan for that person. HR: Now, you are the head of the Clinical and Forensic Institute and you have a law degree as well as your doctorate in psychology. HR: What do you see in the overlap of those two regarding mental health issues in the courtroom. What are some of the more common things that you have to get involved with going into court for instance. LB: So there are issues related to if a defendant is not competent to stand trial, if they’re having difficulties with processing information, forensic psychologists get called in to evaluate a defendant to see whether or not they’re competent, whether or not they have the where-with-all to assist in their own defense. Whether they can work with their lawyer, and assist in their own defense. I do evaluations for things like sanity, where somebody’s mental illness impacted them so much that they’re not responsible for their behavior when they committed a crime. I also conduct evaluations to try and help courts fashion a resolution to a case where treatment and supervision is provided for somebody. So maybe somebody will get probation or they get some kind of mental health probation here where the person is linked up to community mental health and they also have a probation officer. So they’re required to get community mental health services, go to treatment, and also follow the rules of probation. And progress reports get sent to the judges and it’s a collaborative approach, between the prosecutors, defense attorneys, judges, and community mental health providers, to provide the support and assistance for somebody with mental health problems who also has violated the law. HR: Should parents take their child to a therapist even if a child has no issues? LB: I would probably say no. And it goes to what we talk about here at Different Brains about the stigma of mental illness. So right now, our society thinks going to a therapist or seeing a doctor means you have a problem. So we don’t want a child to think that they have a problem when they don’t. So taking them to a doctor for no reason may give the message to a child there’s something wrong with you. And you need help. Now if changed the stigma, and we viewed mental health as another supportive or positive place, I would have a different answer for that. I would say “sure, it’s always good to go see a mental health person and see if as a family, are we working, are we communicating as well as we could be communicating. Are we disciplining as well as we could be disciplining? How are we working together?” Now that would be a positive experience, but I think that that’s probably my idealism as opposed to the reality. HR: Well we’re certainly working for it here at Different Brains. What would you say the biggest roadblock to getting rid of the stigma is? LB: I think it’s just the society belief. I think that it’s scary. It’s a lack of education about kind of the fear about mental illness. Even people with mental illness don’t want to be perceived as having mental illness because it’s embarrassing. They get problems, discrimination, problems moving up in jobs, problems getting jobs, I think there’s a lot of roadblocks. It’s difficult for people to talk about and to accept that mental health and medical health are the same. We need to be healthy, both in our minds and in our bodies. And we’ll have longer lives if we take care of both of our brains and our bodies. HR: If our audience wants to get in touch with you, how do they do that? LB: They can look me up at the clinical and forensic institute. It’s our website, cfiexperts.com. HR: You know, when meeting leaders like yourself around the country at speaking engagements and things for Different Brains, it strikes me that a lot of things help all brains and bodies no matter what they are. So for instance, exercise. A good Mediterranean style, healthy diet, avoiding a lot of processed foods and things. What are some of the other tools–I don’t wanna say necessarily work for all the entities you treat, but that are pretty good, for your mental health. LB: Well what’s good for your mental health is exercise, diet, sleep, a supportive network, positive family relationships, positive friendships, working, feeling productive, being involved in hobbies. So all those positive behaviors are good for everybody. No matter how neurodiverse your brain is or what’s going on. Diet, exercise, laughing, being connected to other people, engaged in positive pro-social activities, those are all healthy. HR: Can you give us some idea of the most common things in mental health, like I would imagine depression and anxiety are way up there. LB: Right, depression and anxiety are the most common. And substance abuse as well. But people are using substances to manage depression and anxiety. But yes, depression and anxiety are the very common unfortunately. And very treatable. HR: Let’s talk about the treatment of anxiety and depression. LB: Right, we have cognitive behavioral therapy. It’s evidence-based therapy that is effective, proven scientifically for depression and anxiety, over and over again. Long-term effectiveness, longitudinal effectiveness. So cognitive behavioral therapy is wonderful for both depression and anxiety. And can help both of the disorders. Psychologists are trained in this, it’s a short term treatment. it’s not this kind of, where you have to go lay on a couch every day for years and years and years to get to the bottom of this. We have good, scientific data to support our interventions that can really decrease anxiety and decrease depression. And increase positive mood and get people interacting with the world without having the anxiety that they’re feeling. HR: So you hear that everybody? Make positive choices. Let’s all get mental healthy. Dr. Lori Butts, the head of the Clinical and Forensic Institute, the outgoing president of the Florida Psychological Association, thank you so much for being here at Different Brains.